Happy Tuesday! It’s our big reveal day…..
Our exclusive interview is with Chelsea Clinton! Congratulations to Mary Margaret from Lexington, Kentucky for sleuthing the clues correctly. 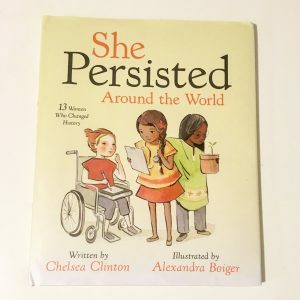 We picked Chelsea’s brain on everything from involving her young children in advocacy to tangible steps we can take to move us towards a more equitable world, to the role of imagination in politics. The full interview will be up tomorrow. Check out her impressive bio now in preparation. Chelsea currently teaches at Columbia University’s Mailman School of Public Health and previously worked at McKinsey & Company and Avenue Capital. 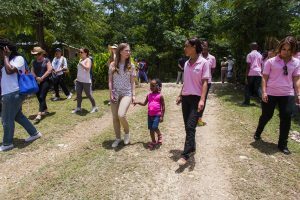 In addition, Chelsea serves on the boards of the School of American Ballet, the Africa Center, IAC, Expedia, Clover Health, and the Weill Cornell Medical College. She is the co-chair of the Advisory Board of the Of Many Institute at NYU. 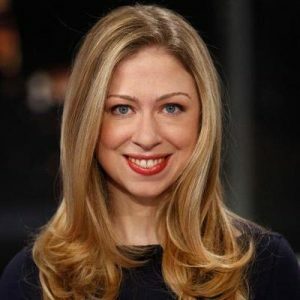 Chelsea holds a Bachelor of Arts from Stanford, a Master of Public Health from Columbia’s Mailman School of Public Health, and both a Master of Philosophy and a Doctorate in international relations from Oxford University. Chelsea is co-author with Devi Sridhar of “Governing Global Health: Who Runs the World and Why?” which examines the role of public-private partnerships in combating the spread of infectious diseases like AIDS and reducing pervasive chronic health problems like malnutrition. Chelsea is also the author of “It’s Your World: Get Informed, Get Inspired & Get Going” – a book for young readers, ages 10-14 which explores some of the biggest challenges facing our world today and shares inspiring stories of young people who are already making a difference in their own communities and around the globe by tackling them in fun and creative ways – and, “She Persisted: 13 American Women Who Changed the World” and the companion “She Persisted Around the World” – picture books that introduces tiny feminists, mini activists, and little kids who are ready to take on the world to thirteen inspirational women who never took no for an answer, and who always, inevitably and without fail, persisted. I look forward to sharing the full interview with you tomorrow. So looking forward to reading your interview with Chelsea Clinton. What an amazing bio she has! ‼️??. This is terrific Amanda. So happy that you have made this connection! May it benefit you both and the causes that you care about!